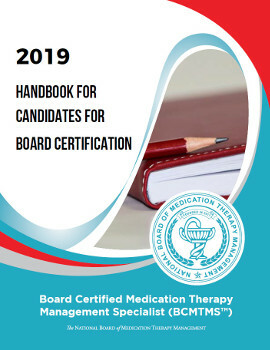 Pharmacists awarded board certification through NBMTM are required to use the following official language when designating their board-certified status. These designations meet with the approval of the NBMTM according to the ethical code. No additional designations following your name are approved by the NBMTM. These designations cannot be used in a misleading or fraudulent manner, or to deceive the public. Earning certification from the National Board of Medication Therapy Managment represents a significant professional achievement and a commendable dedication to patients and their families. Updating your Pharmacy Licensing Board Profile. 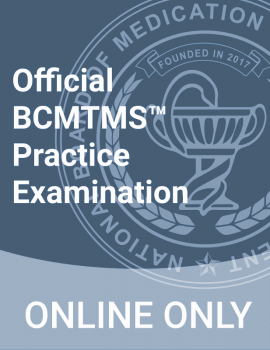 You worked hard to earn your board credentials, so by all means, promote your accomplishment at every opportunity and have your NBMTM Board Certified Status pay off for you professionally and highlight the important difference you are making in the lives of patients and their loved ones.